The Abbotsford Early Years Centre, located in the Sweeney Neighbourhood Centre adjacent to Abbotsford Senior Secondary, is a one-stop location for parents to find out information about learning, health and family services - including: child care, parenting, child development, referrals for social supports, special needs services, early intervention therapies, and public health services. There are currently 26 provincially branded Early Years Centres located across BC, which represent a range of innovative approaches offering one-stop, convenient access to information, services and referrals for families with young children. Each centre offers a variety of programs, services and supports tailored to the needs of their community. To be a welcoming and supportive physical or virtual place. To offer a range of services and programs encompassing health, education and early childhood development. I have had the privilege of being a resident of Abbotsford for over 17 years. After moving to BC from Ontario, my husband and I decided to make Abbotsford our home. 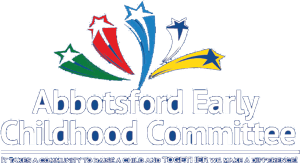 I have spent the last 9 years working for the Abbotsford School District as the Manager of Community Partnerships and was the Executive Director of the Abbotsford Early Childhood Committee prior to moving to the school district. I have a passion for early learning and supporting our families with children 0-6. 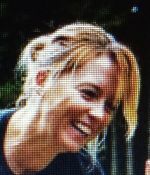 I currently sit on numerous Community Boards, including the Abbotsford Community Foundation, the Fraser Valley Child Development Centre and Vibrant Abbotsford. I graduated with a degree in Law and Justice from Laurentian University, and I have also have a certificate in Not for Profit Management. I firmly believe that our children are the future of our community, and we must pay attention to the health and resiliency of our youngest citizens. I am happily married with two amazing teenagers. When I am not working or volunteering, you will find me at the baseball field or a dance studio watching my children compete in the sports they love. I have lived in Abbotsford for the past 10 years, after moving to BC from Alberta. I graduated from the University of the Fraser Valley with a degree in Criminology, and worked for the BC Centre for Safe Schools and Communities while attending university. I also worked for the provincial government for four years, as well as with children and families in the social work field. Although I have no kids of my own, I have 11 nieces and nephews who keep me connected to the world of young children. In my younger years I also spent a year living in Indonesia teaching English as a Second Language to children. I believe strongly in the value of education and play throughout our lifetime. When I’m not working or going to school, I am hiking or camping in the great outdoors or planning my next travel adventure. The new centre is open to all parents on a free, drop-in basis.